The National Association of Hispanic Journalists of the Bay Area and Comcast NBCUniversal California Region announce that they have partnered to host a series of workshops to increase the education and skills of journalists to that ensure better quality reporting reaches the residents of Northern California. As part of this partnership, Comcast has granted the NAHJ Bay Area chapter $5,000 to provide professional development workshops throughout the year and at our annual summit. 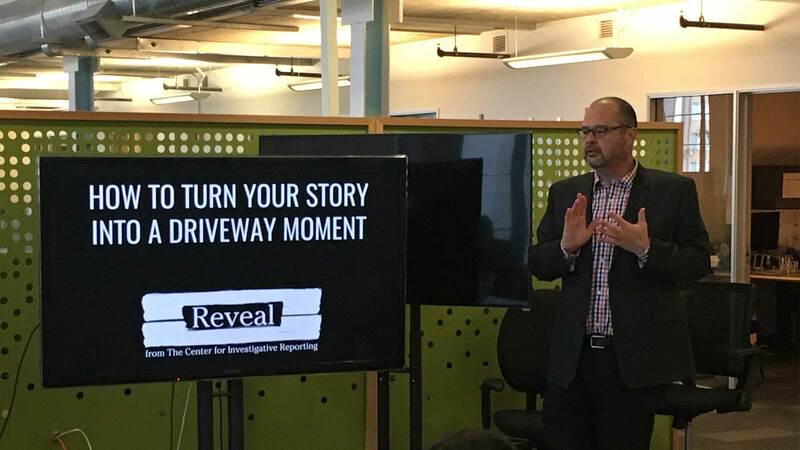 The first in the series is a podcasting workshop with award-winning radio journalists with Reveal from The Center for Investigative Reporting. The workshop seeks to teach journalists of all skills and experience levels how to turn their stories into compelling audio narrative. Future workshops may include how to tell news stories with the use of virtual reality and how to use social media to better source, research, produce and share stories. “At Comcast NBCUniversal, our culture of diversity and inclusion extends far beyond our workplace and we’re proud to partner with the National Association of Hispanic Journalists’ Bay Area Chapter to deliver on our joint mission of supporting and strengthening the communities we serve,” said Adriana Arvizo, multicultural public relations manager, Comcast. “With the advent of innovative technologies, the role of journalists is more complex today than ever and workshops like this one about podcasting provide a unique opportunity to learn about emerging journalistic best practices and ensure that Hispanic journalists are not only aware of the many tools they have at their disposal but also have the hands on experience to make them a reality. The National Association of Hispanic Journalists Bay Area (NAHJ Bay Area) is a chapter of the National Association of Hispanic Journalists. We are a nonprofit organization that is dedicated to the recognition and professional advancement of Latinos and Hispanics in the news industry. Our members are journalists, students, educators, and communications professionals who advocate for media coverage that is fair and inclusive of Latinos. Established in April 1984, NAHJ created a national voice and unified vision for all Latino journalists.